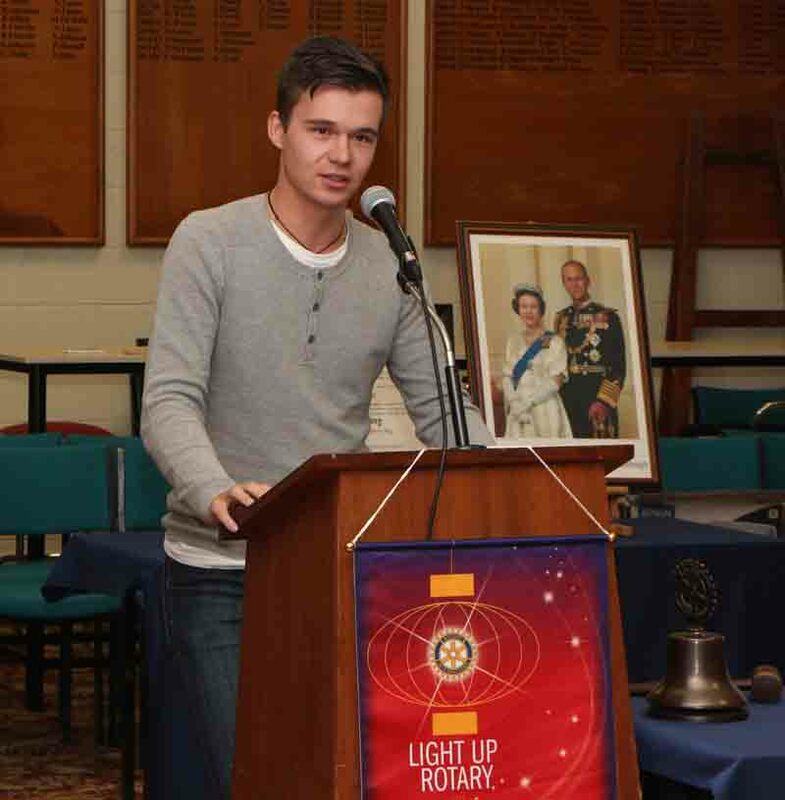 Following his recent visit as a RYLA graduate, Gareth Power-Gordon returned to speak to Tawa Rotary on 14 April 2015. He shared his experiences in working with youth organisations while at the Ministry for Youth Development (MYD). 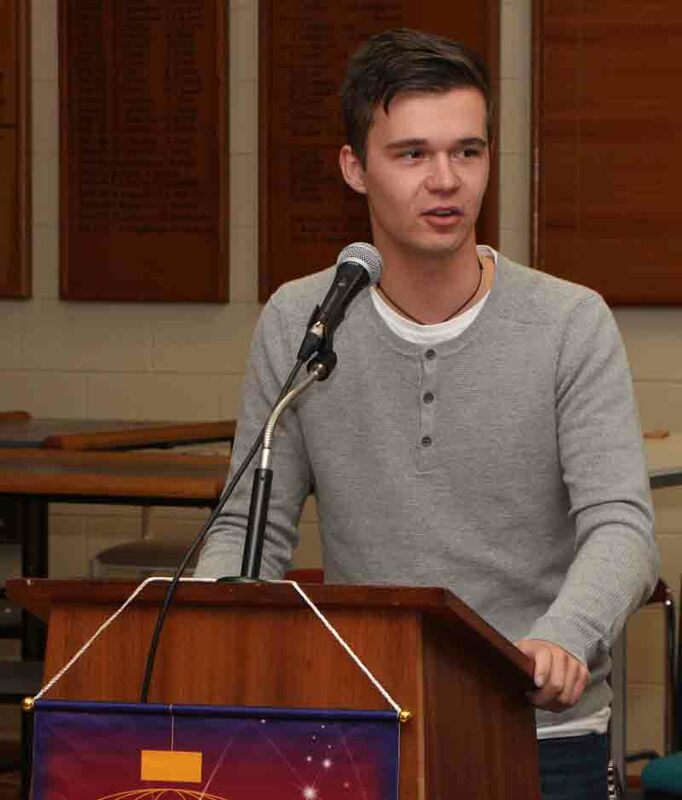 Gareth joined the local youth council at Taranaki at the age of 12. His passion for youth development and ambition were evident as he progressed to the National Youth Advisory Council and Commonwealth Youth Development - representing NZ Youth at the UN Council. MYD has been training various organisations how to engage with youth. he didn't know that RYLA existed until he was shoulder tapped; promote what we have and use RYLA graduates to promote this fantastic programme. 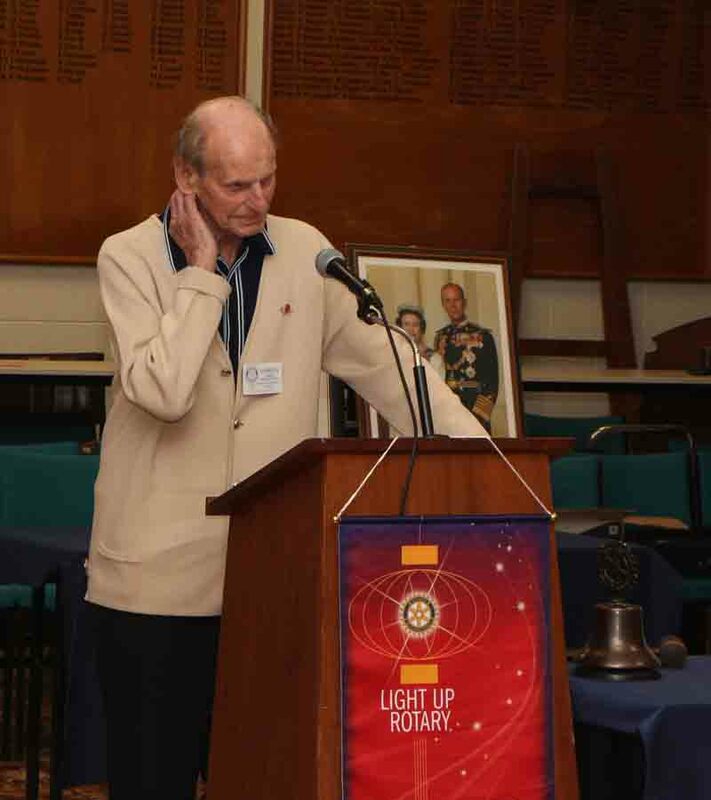 Rotary is regarded as an organisation for older people, and Rotaract has a low profile. think about involving local schools in our projects - young people like to be involved with causes, in preference to joining clubs or organisations. Members stood in tribute to acknowledge Gordon Mygind who advised he was resigning from Rotary following a great innings. As Gordon shared his experience and referenced his learning Italian, he bid us arrivederci - goodbye until we meet again. Gordon, we will miss you and wish you and Irene verybest wishes for your future. Thank you for your outstanding contribution to Rotary. The District team is really keen for Tawa to host a student for four months on a shared basis with Plimmerton and Porirua Sundown. Expressions of interest were sought at last week’s meeting and by now you will have had time to think more about this and check in with partners. The proposed student is from Brazil and you’ll remember how well Carol Deberaldini from Brazil fitted in and contributed to the vibrancy of the Club. Tony Heyward and Mark Carroll’s families did a marvellous job of hosting her. Please see Gaylene if you are able to host. We held a new member orientation session over afternoon tea. Several Rotarians shared their experiences of Rotary involvement and we were able to paint a picture of where Rotary fits in a wider context of Rotary International, our District 9940 and The Rotary Foundation. When talking about Tawa Rotary, we had the valuable help of a new booklet – An Introduction to Rotary: An Information Guide for Prospective Members and New Members. We expect to publish more copies shortly. Thanks to Peter Lockery and Des O’Sullivan for coming up with the idea, laying the foundations and seeing it over the finish line, and all those who contributed or proofed the booklet. It will be a valuable resource when explaining to new or prospective members how our Club works and the various things as members we take for granted. Thanks to Pat and Melva Waite for hosting the orientation session and to all participants - Martin and Denise Garcia, Irene Corpuz and Andrew Watson, Paul and Trish Drummond, Mike Kelly, Joe and Judith Asghar, and Margaret and Bernie O’Loughlin. One of the great things about Rotary is that there are always so many events on offer by local Rotary Clubs. Last week President Martin had a very enjoyable evening at the Roxy Cinema for a premiere viewing of the Woman in Gold starring Helen Mirren. Here are some more events recommended to Club members. Wednesday 29 April - Porirua Sundown Rotary has seats available to Porirua Little Theatre’s production of “Voices from the Dark” commemorating ANZAC’s 100 years. Tickets are $25 each and it starts at 7.30pm. If you would like any tickets please contact Don Casagranda at don@onarrival.co.nz . Thursday 30 April - Karori Rotary Club of Karori in conjunction with the ANZ Bank is holding its next business breakfast at the Karori Park Café on Thursday 30 April. The guest speaker is Steve Sanderson, CEO of Wellington International Airport Ltd on expansion plans for the Airport. On Sunday 26 April, Plimmerton Rotary is organising a day where people can come and explore the first part of the Te Ara Piko Walkway which meanders around the Pauatahanui Inlet and its beautiful scenery. Stage 1 is from Motukaraka point to Pauatahanui inlet. Please let President Martin know if you would like to come for a stroll. For information on what’s happening in our District, visit the District 9940 new website at: http://rotary9940.flightdec.com/. Original generation time 1.4819 seconds. Cache Loaded in: 0.0198 seconds.